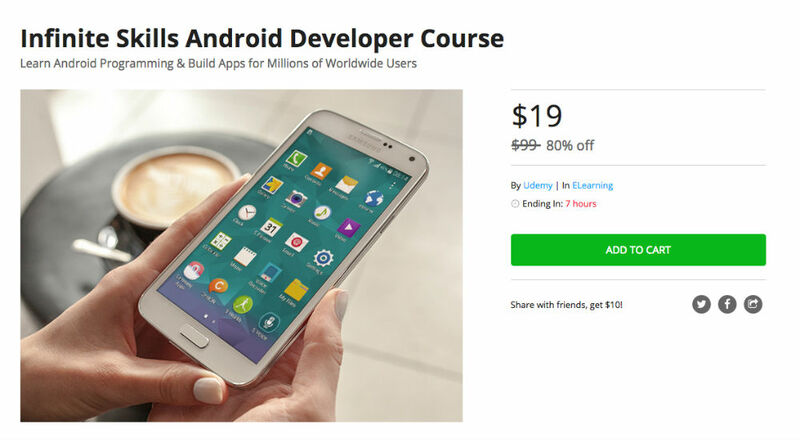 Featuring nearly 10 hours of content, including over 100 lectures, the Infinite Skills Android Developer Course can be purchased on the DL Deals Store for just $19, down from its listed price of $100. With this course, which requires no previous programming knowledge, users can learn about media playback, device camera access, and device sensors, all for building the best Android app you can. Inside the course, students can work alongside and interact with the instructor, allowing you to maximize your learnings. Upon completion, you shall receive a certificate, which should make you feel pretty good about yourself. To grab the deal, follow the link below. Giveaway: Win a 200GB SanDisk MicroSD Card!